Do you want a straighter, more confident or healthier smile? If so, now is the time to see an orthodontist. Orthodontic treatment is not just for children or teens – at Kids Dental Group, we offer treatment for all ages! According to the CAO, an orthodontist is a specialist in the diagnosis, prevention and treatment of dental and facial irregularities. This includes orthodontic problems such as malocclusions, bite and jaw problems and crooked teeth. Dentists and orthodontists have both received four years of dental school education. However, an orthodontist specialty requires an additional two-three years of specialized education and training. This additional education sets them apart from a dentist when it comes to providing you with specialty orthodontic care. At an initial orthodontic consultation at Kids Dental Group, one of our orthodontists will examine your facial structure, teeth and overall bite. From there, we will create a customized orthodontic treatment plan to help you achieve your desired goals. We offer various services such as traditional metal braces, crystal clear braces and Invisalign. In addition, orthodontic treatment can help improve daily functions – such as biting, chewing and talking! The health benefits in addition to the cosmetic benefits are very impactful to our patients overall quality of life! 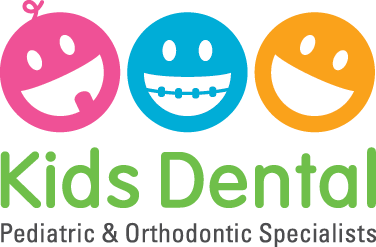 If you are looking for a healthier and straighter smile for you or your child, contact us at Kids Dental Group! Our experienced team is located in Stouffville, Richmond Hill and Markham. We look forward to meeting you!